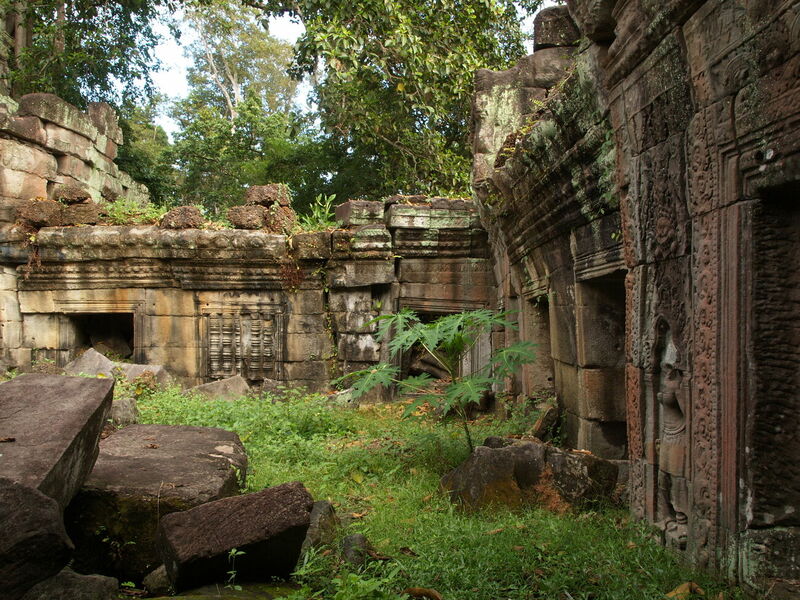 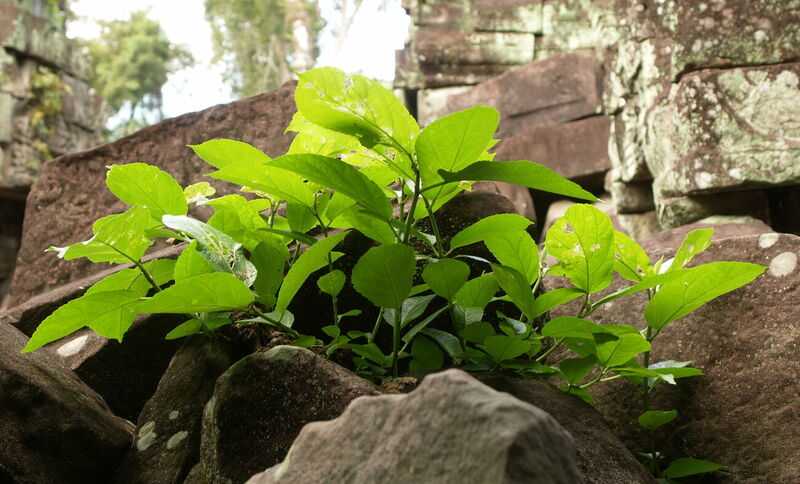 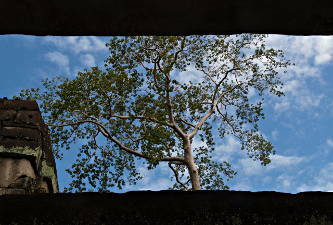 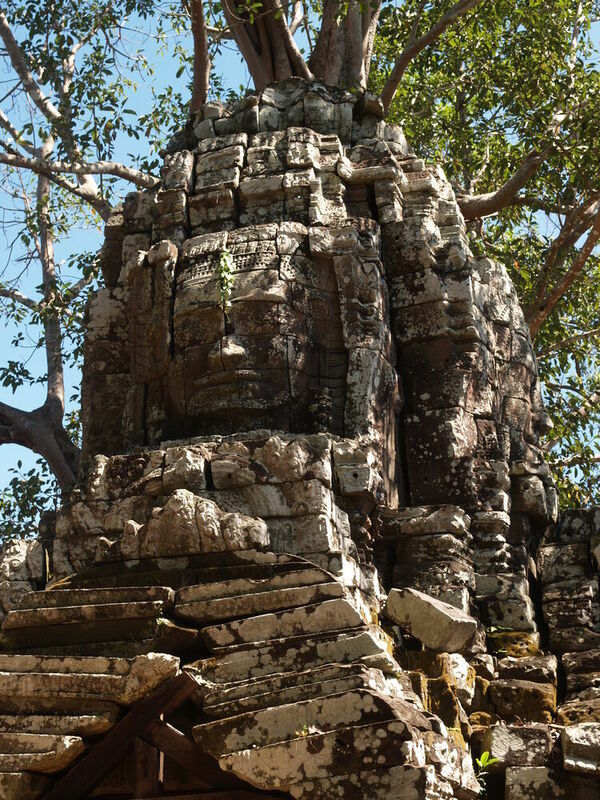 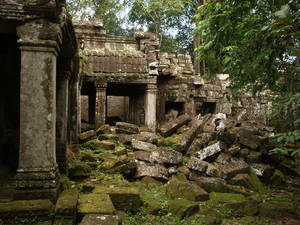 Preah Khan is a rectinlinear maze of enclosures and passages. 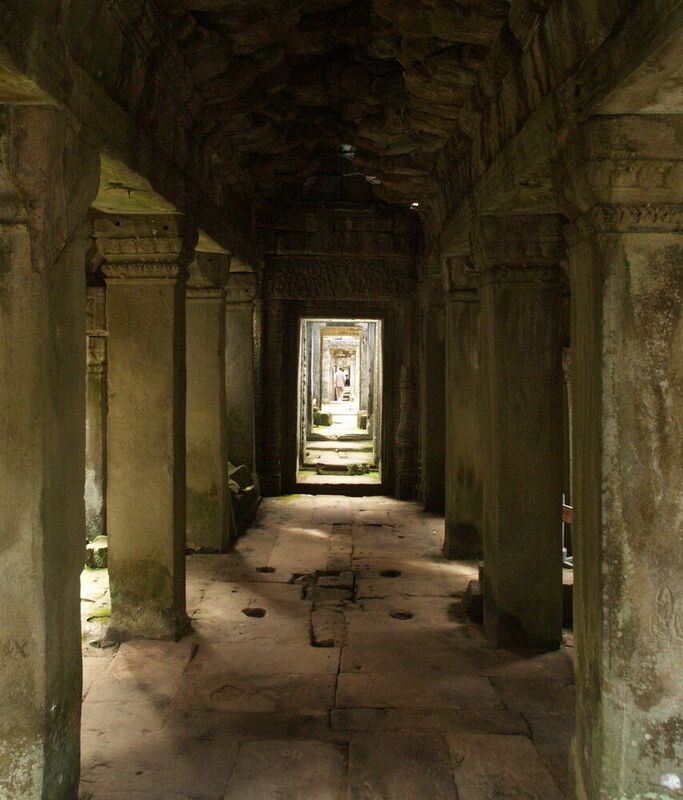 It's largely unrestored, and is maintained with a view to preserving the "ruin" effect. 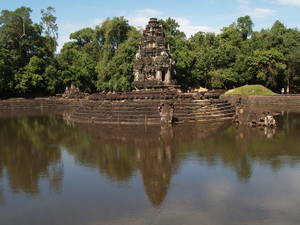 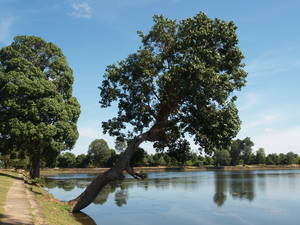 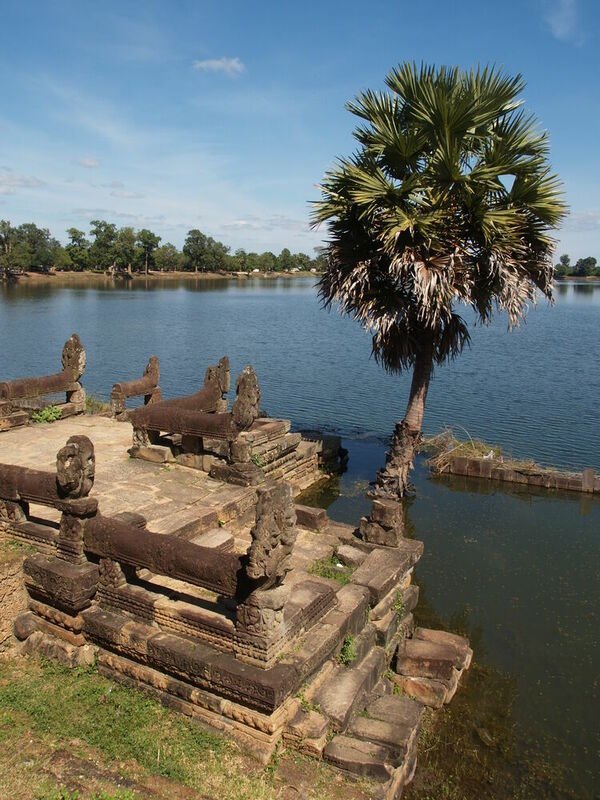 Neak Pean is a Buddhist shrine on an island inside a small reservoir (baray). 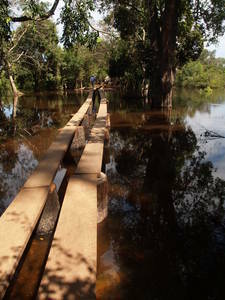 Getting there involved a long boardwalk where Richard needed support. 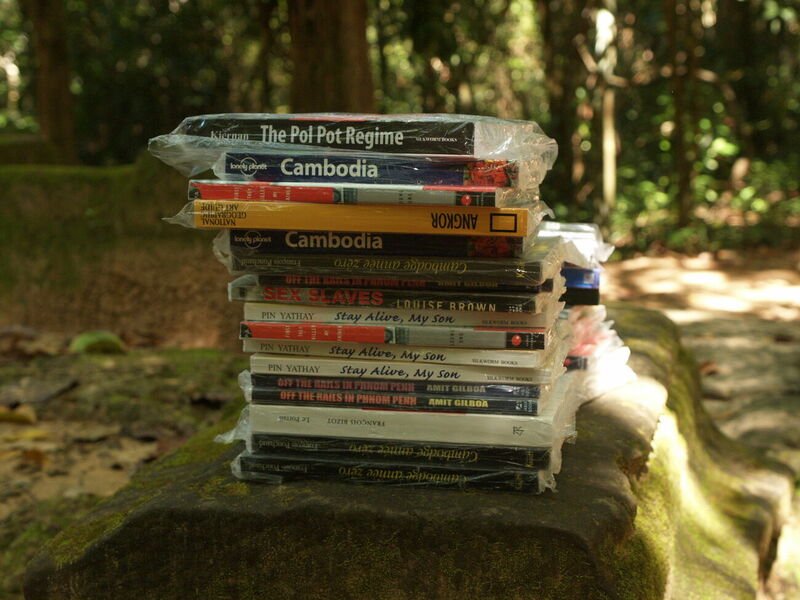 By the time we got to Ta Som it was getting really hot. 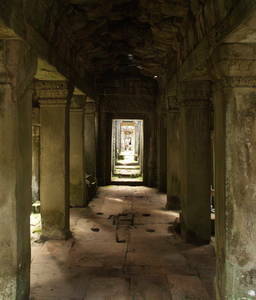 I drank a fresh coconut and then Richard waited in the tuk-tuk while I walked through the temple and around inside the outer wall, under the trees. I almost bought a copy of Kiernan's The Pol Pot Regime from a peddlar — only $1, but I didn't have room in my bag for it. 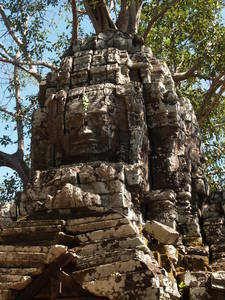 Rather than going back to Siem Reap, we stayed out and had lunch in a restaurant about half-way between Pre Rup and Ta Prohm. We had excellent Amok fish (Richard with banana, myself with coconut) and even a decent coffee. 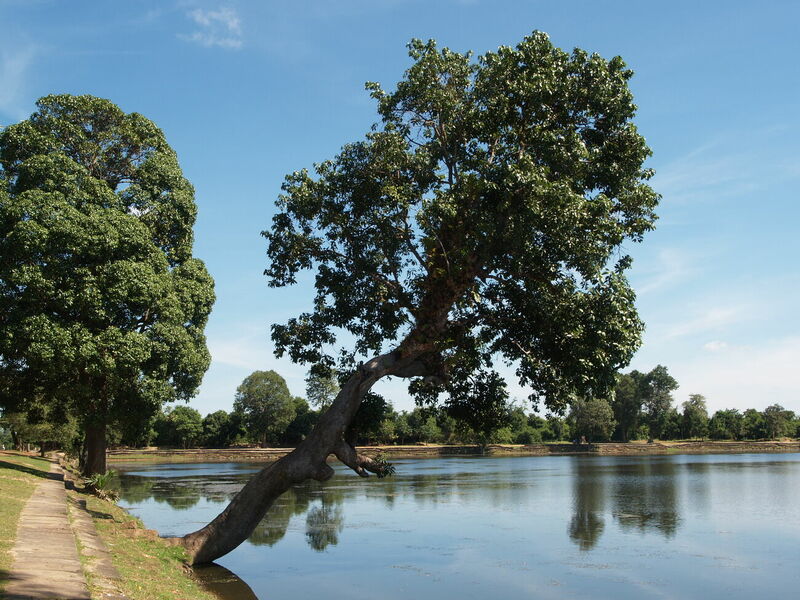 After lunch we looked at the nearby Srah Srang, one of the smaller reservoirs that is full of water and preserves something of its intended appearance.